Fast Acting Haze Remover for those printers who prefer to use a 'traditional' high caustic haze remover. 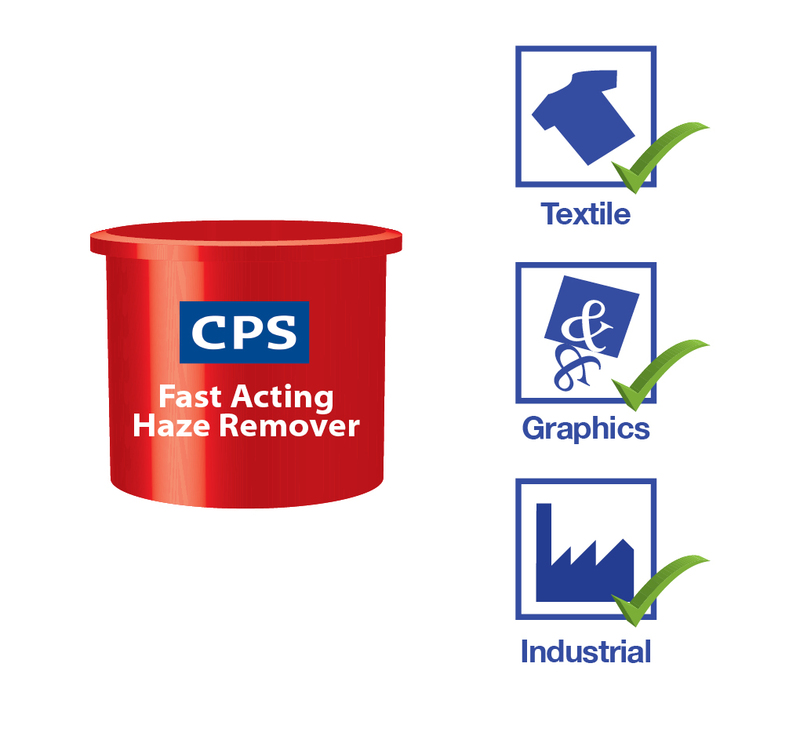 CPS Fast Acting Haze Remover is a high caustic and gelled ink stain and haze remover for quick cleaning of hazed screen printing mesh. 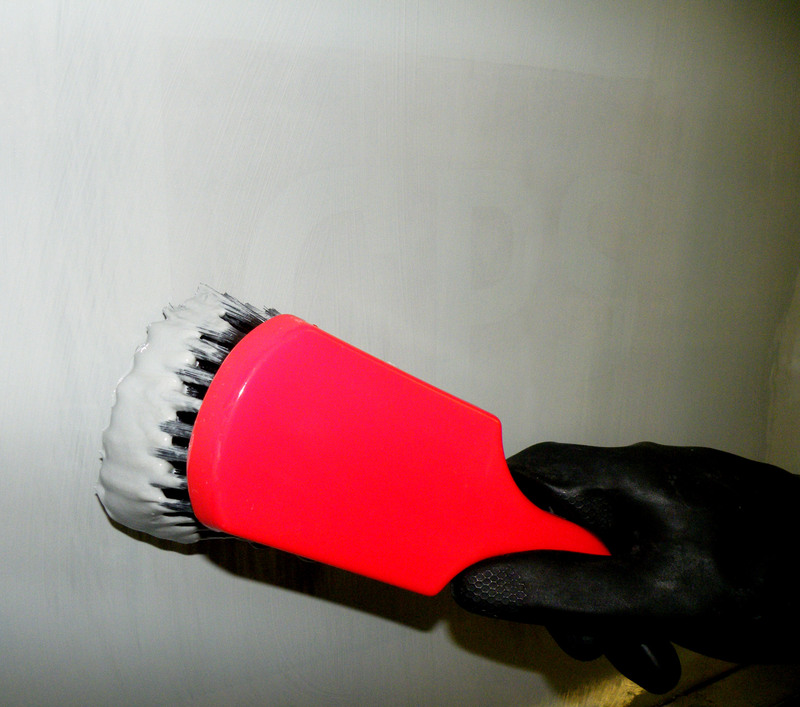 The gelled structure is applied using a brush and ensures that the product stays on the mesh and is not lost down the drain during application. 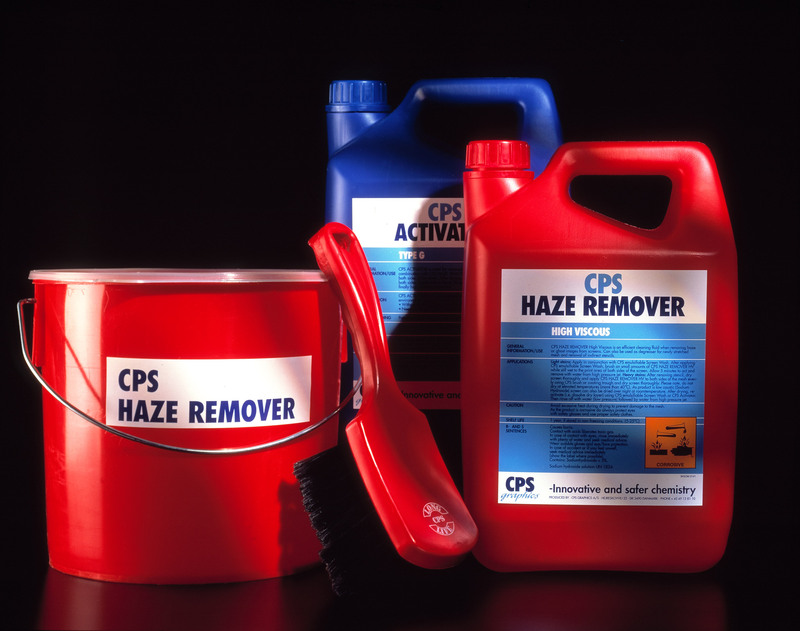 CPS Fast Acting Haze Remover is a 10% caustic ink and diazo stain remover. It has been developed to remove stains quickly and without damaging the screen mesh. Available in 1 Kg & 5 Kg pack sizes.